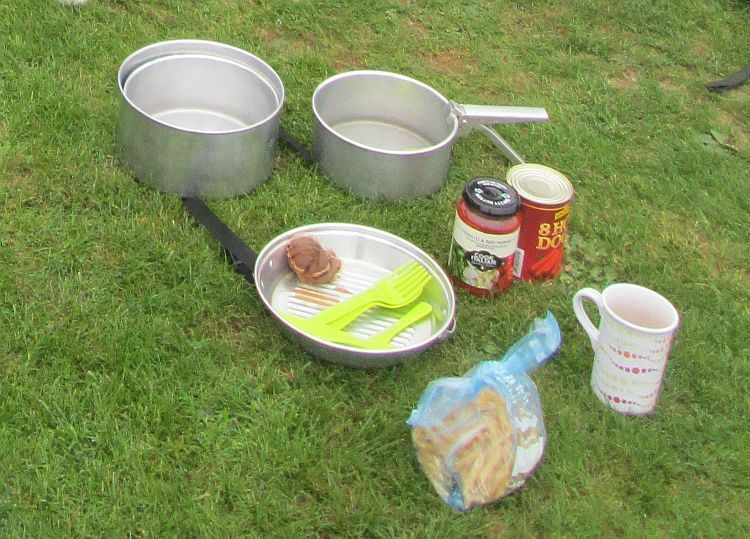 A super simple meal while out on a camping trip. I chose this because pasta, pasta sauce and tinned hot dogs all travel well in my motorcycle luggage. What you'll need...and brew stuff as well of course. 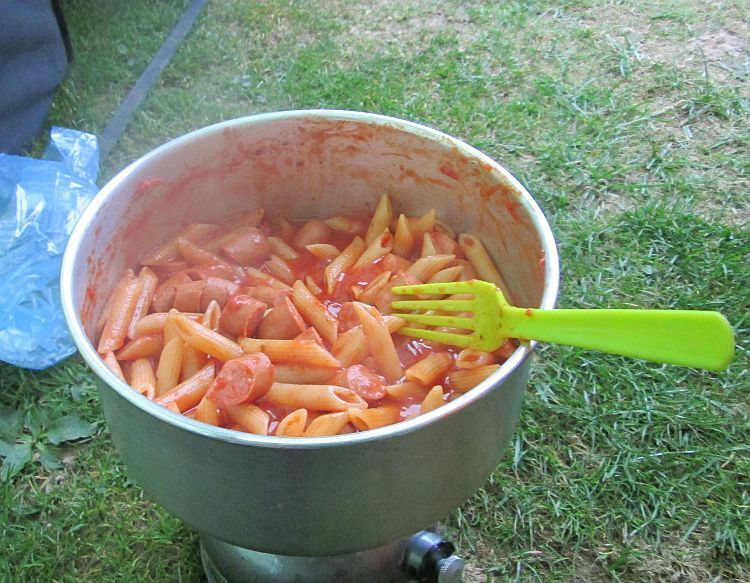 In this instance I had with me some Penne pasta, the tubular stuff. Don't worry about what sort of pasta you have, as far as I can tell they're all the same just in different shapes. Then I had a jar of red peppers and tomato pasta sauce. Again chill, find a jar of something you like. Mmmmm, cheap, transportable, lasts a long time and tasty! Boil the pasta in plain old water until it goes a little soft. While the pasta is cooking chop up the hot dog sausages into smaller pieces, maybe half an inch long. Drain off the water from the pasta. Turn down the heat on the stove. Add the pasta sauce and the chopped hot dogs. Let it all heat through and simmer for a while, making sure to stir often. Now tell me that don't look delectable!